Ten-Tec has created another legend within the new 539 Argonaut VI. 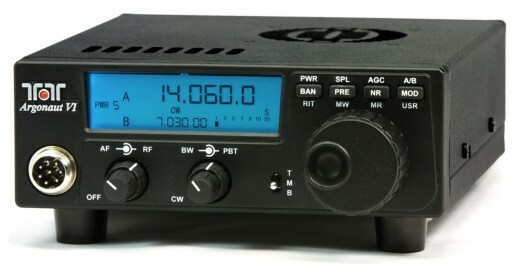 This “NEW” QRP transceiver incorporates the use of Ten-Tec’s ASR design philosophy. This same low noise receiver design blended with advanced software control has been used with the 599 Eagle and RX-366 receiver giving you outstanding dynamic range and crystal clear audio. Tired of extended long menu driven transceivers. Experience the simple, fun, and ease of use the Ten-Tec Argonaut VI offers. Designed right here in the USA, you will never find a more enjoyable QRP experience in such a small package with such outstanding receiver performance. The 539 will operate with any of the currently available, optional, 8 pin microphones. The legend lives on.